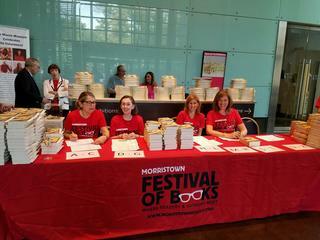 Modeled after successful book festivals in other communities throughout the world, the Morristown Festival of Books is now in its fifth year bringing together acclaimed authors with readers and book lovers. The festival will feature a full roster of authors in Morristown on the evening of October 12 and full day on October 13, rain or shine. Authors will speak and answer questions for one hour at one of several convenient Morristown locations. Book sales and signings, following author presentations, will occur at a tent on the grounds of the historic Vail Mansion. Call 973-267-5533 or email [email protected]. 35 Knox Hill Road, Morristown, NJ 07960 US.